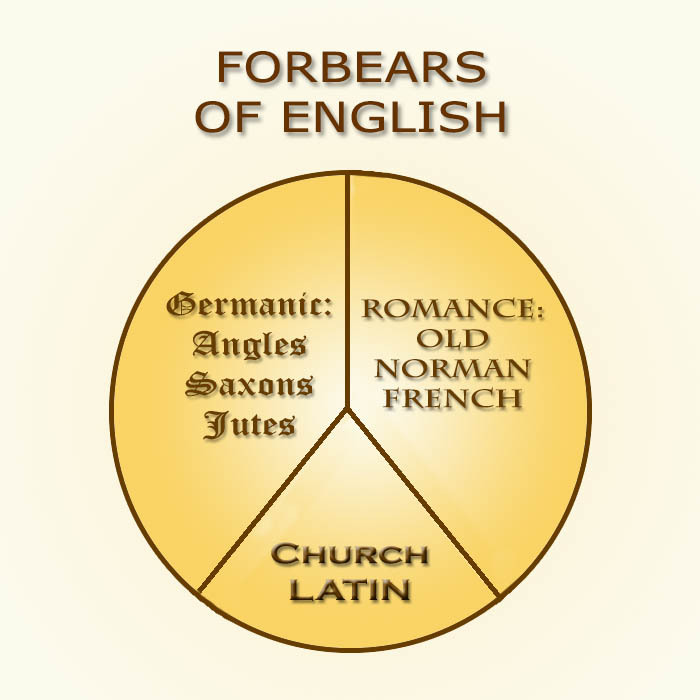 As described in more detail elsewhere, English has three main ancestors: Old German (including Saxon, Angle, and old Danish from Jutland), Old Norman French (including influences of the Norsemen) and Church Latin. Our vocabulary for ideas, thoughts and abstractions comes mainly from Latin. Though it gave us directly only about 20% of the words we use day-to-day, Latin was the only written language in use before the renaissance, and it was the language of both faith and scholarship. The story does not end there, however. Latin, in turn, was an evolution from a mixture of other dialects and languages, including a large helping from ancient Greece. 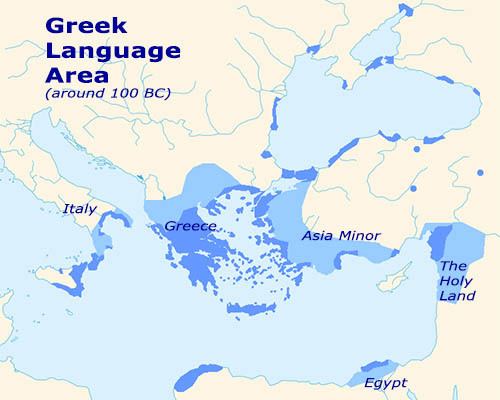 From around 600 BC until 100 AD (from the era of Alexander the Great through the events of the New Testament) Greek was a common tongue for much of the Mediterranean. It was used in Egypt and the Holy Land, and had been exported to Italy and farther west to Southern France. Why does this matter? It matters because a large budget of words in English are made up of Greek words, especially those terms used to describe ideas and concepts. People in most jobs may never need to use (or understand) the word “anthropomorphism,” for example. But if you go to college, rest assured that it will come up. If you know a little Greek, the word is not mysterious at all. “Anthropos” means “man” — as in mankind — and then “–morph” is a combining term meaning “having the shape of.” The “–ism” particle is, as you probably know, a flag for a belief system, practice or method of thinking. So this word means the practice of attributing human-like qualities to non-human entities, whether gods, animals or inanimate objects. What follows is a table of 95 morphemes that come to us from Greek, together with their meanings and examples of English words that contain them. The Greek word is also given, in the Greek alphabet (which you would do well to learn) and in our alphabet (called the Latin alphabet). If you master these morphemes, you will have the key to thousands of English terms. The table is paginated in groups of 20.